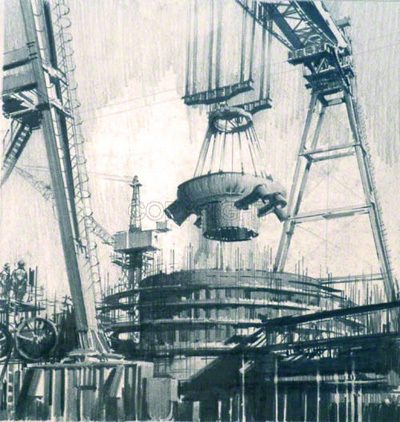 A pencil drawing of Hinkly Point A under construction in 1957 showing the Goliath Crane. 2513 Atomic Power station under construction at Hinkley Point showing Goliath in action. This is an illustration of one of the many commissions which Claude Buckle was able to obtain due to his architectural training. Created in 1957.